This week, Dave Watters, Founder and CEO of Global Advantage Consulting Group, and Adam Jarvis, Vice President of Policy and Research spent a day discussing innovation challenges with clients in Toronto including executives from MaRS, the provincial government, the University of Toronto, the Impact Centre and the Brookfield Institute. That evening, Dave and Adam gave a presentation on the Federal Budget 2018 for the Ontario Genomics Board and invited guests. 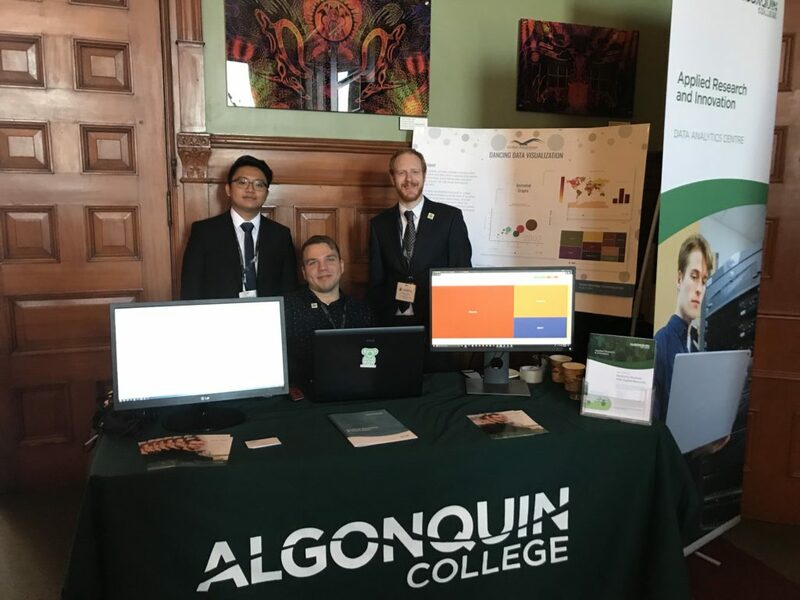 Futhermore, Dancing Data, Global Advantage Consulting Group’s data visualization tool, was recently selected to be presented for the High-Tech World of Colleges during College Day 2018 at Queen’s Park in Toronto, Ontario. Global Advantage collaborated with Algonquin College’s Office of Applied Research and Innovation (ARI) in sending Edmer Buen, from our software development team, to assist Robert Taracha, developer from ARI, and Matthew Jarabek, impact coordinator for ARI, in demonstrating our new and innovative data visualization technology. Dancing Data is an online web-tool, currently in development, that hopes to help bridge the gap between big data and data visualization by translating data and communicating ideas in a visually effective manner. Dancing Data will help you analyse data and create animated graphs to enhance the presentation of details. Beyond the Dancing Data tool, there was keen interest in the unique relationship between ARI and Global Advantage Consulting. Dancing Data was initially contracted to ARI by Global Advantage Consulting Group. As such, Edmer spent the day at Applied Research’s booth explaining this relationship and his experiences to members of Ontario’s parliament and Ministers. 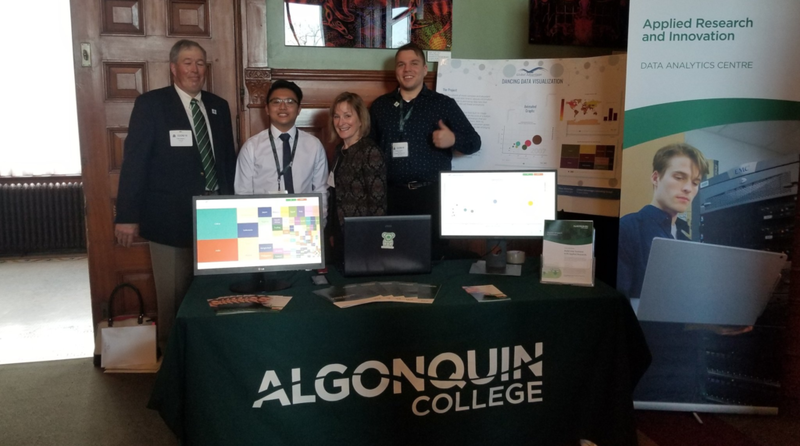 The project was launched in June, 2017 when Algonquin College new Applied Research Centre, the Data Analytics Centre, announced its partnership with companies including Global Advantage Consulting Group. The partnership continues with Algonquin’s Applied Research Centre with aim to complete the Dancing Data project within the next few months. Next PostWhat’s Happening at the Global Advantage Consulting Group?